In 1938 a two year old boy was recognised through a traditional process of discovery as being the reincarnation of all previous Dalai Lamas, the spiritual rulers of Tibet. Taken away from his parents, he was brought up in Lhasa according to a monastic regimen of rigorous austerity and in almost total isolation. Aged seven he was enthroned in the 1000-room Potala palace as the supreme spiritual leader of a nation the size of Western Europe, with population of six million. And at fifteen, he became head of state. With Tibet under threat from the newly Communist Chinese, there followed a traumatic decade during which he became the confidant of both Chairman Mao and Jawaharal Nehru as he tried to maintain autonomy for his people. Then in 1959, he was finally forced into exile – followed by over 100,000 destitute refugees. 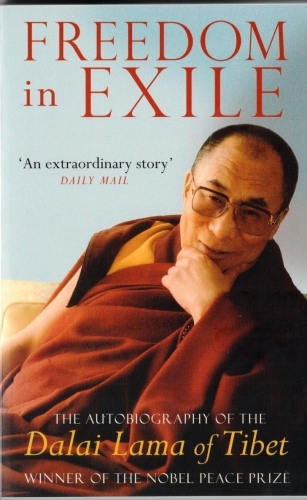 Here, in his own words, he describes what it was like to grow up revered as a deity among his people, reveals his innermost feelings about his role, and discusses the mysteries of Tibetan Buddhism.